WHERE AND WHEN DO C3 GROUPS MEET? WHO CAN JOIN A C3 GROUP? CAN I JOIN A GROUP AFTER SIGN-UPS? WHY ARE SOME C3 GROUPS CLOSED TO JOIN AND OTHERS ARE OPEN? HOW DO I CHOSE A GROUP TO JOIN? WHAT AM I COMMITTING TO IF I JOIN A C3 GROUP? WHAT IS A C3 COVENANT AND WHY DO I NEED TO SIGN IT? WHAT IF I DON’T WANT TO SIGN A COVENANT? WHAT IF I DON’T LIKE THE GROUP I JOINED? WHAT DOES A C3 MEETING LOOK LIKE? WHAT DO C3 GROUPS STUDY?  C3 groups meet in a number of different times and places across Molokai. The goal is to have a group available for every member of MBC to be a part of at a time and location that works for them. C3 groups meet for two different periods during the year. We have spring semester that begins in January and a fall semester that begins in August. At the end of each semester, you will have the choice of staying in the same group, trying a new group, or even taking a break. WHO CAN I JOIN A C3 GROUP? Any regular attendee of MBC can join one of our C3 groups. In general, we ask that only those who profess Jesus Christ as their Lord and Savior join because C3 is designed to facilitate relationship among those who are already believers. This ministry is targeted more at growth than evangelism. Launch campaigns are run several weeks prior to the start of each semester. At those times, all of the C3 groups will have sign-ups available for anyone who wants to join. We encourage you to join a group at the beginning of the semester. If you decide you want to be a part of a C3 group after the sign-ups, you can still join a group until week 3 of the semester by talking to the group leader. However, after week 3, we encourage you to wait until the next semester begins. We do this in order to pursue the good of everyone involved by protecting the intimacy and togetherness of each group. A new member who joins an established group will tend to unbalance the established unity of the group. We also want to ensure you get the best possible C3 experience which mean joining a new group with new people. In order to protect the integrity of each group and give each individual the best possible experience, our C3 groups are limited to 12 people or 7 couples. We believe that as the church grows larger it must grow smaller as well. Groups of 4-12 are proven to be more conducive to openness and connection. So, some groups may not accept new members because they are full or because they have a previously established membership. In which case, we encourage you to join an open group with new people. When choosing a C3 group to join, we strongly recommend that you pick a group based on the leader or other members of the group. Groups based on a common station in life, shared interests, or established friendships tend to be much more successful in the long run than those selected for convenience or location only. All of the C3 group leaders will be available for questions during the two sign-up Sundays before the start of each semester. If you weren't excited about your choice of groups one semester, we encourage you to try a different one. Sometimes the right fit takes time to find. If you sign up for a C3 group, you are committing to attend each weekly group meeting throughout the semester and to do the homework (listen to the sermon and answer the discussion questions) prior to each meeting. Of course, allowances are made for sickness, vacation, or emergencies but not much more. This commitment is crucial to the discipleship-relationship model of C3. You will have the first three weeks to decide if the group you joined is a good fit for you before you sign the C3 covenant. WHAT IS A C3 COVENANT AND WHY SHOULD I SIGN IT? The C3 covenant is simply a promise between each member of the group to hold each other accountable to the policies and guidelines the group agrees to uphold. These policies include meeting time and duration, attendance, discussion guidelines, homework, and childcare. We ask you to sign a covenant because consistency and commitment are critical to the health and success of your group. A written promise helps keep everyone accountable. If you do not want to sign a covenant, you will not be forced to. However, we do ask that you consider the covenant as a promise to your fellow group members not to the pastors or to MBC. You are committing to love them by your respect, your preparation, and your presence, and they are committing to love you in the same way. Jesus demands radical commitment to following Him, and we encourage all of our C3 groups to exercise that commitment in the way they deal with each other. When you sign up for a group, you are committing to attend that group for at least 2 weeks. However, group covenants do not need to be signed until week 3, and you may choose to change groups before that time. No questions asked. We want you to find a group that is a good fit for you so we encourage you to try as many groups as you need to find that comfortable place where you can grow in Christ. Our C3 meetings are centered around the core components of fellowship, study, prayer, and service. Most groups spend 30 minutes fellowshipping often with refreshments or dinner. This may take the form of praise reports, prayer requests, struggles or just “talking story”. This is followed by 30 minutes of group discussion about the study questions which focus on the Sunday message. Finally, groups spend the last 30 minutes in sharing and prayer. That is the general meeting format although as groups mature they will adapt their own flavor. We strive to keep our C3 meetings within the time frame of 90 minutes. Our C3 group studies are sermon based, meaning the homework and discussion questions are based on the pastoral teaching on Sunday morning. Since the sermon is 80% of the preparation, it is very important that each person sees the sermon, whether in person or online. C3 is sermon based because it allows the Bible teaching to come from the pastor while each group can focus on application of that truth through group discussion about the sermon. That also means that all of MBC is growing in common truth as every group explores the same core topics. In general, we design C3 groups to be for adults only. However, each group leader may decide what ages to include in their C3 meetings based on the best interests of the group. Each family is responsible for their own childcare, but, of course, families and leaders are encouraged to work together in this. Except in the case of infants, we ask that no children (or pets) are present in the group meetings. We do this in order to limit distractions for both group members and parents and to allow for meaningful discussions on deep and difficult topics to take place. We want the focus during those 90 minutes to be fully on hearing from God and on engaging with one another.